Tyler J. VanderWeele, Ph.D., is Professor of Epidemiology at the Harvard T.H. Chan School of Public Health, Co-Director of the Initiative on Health, Religion and Spirituality, faculty affiliate of the Harvard Institute for Quantitative Social Science, and Director of the Program on Integrative Knowledge and Human Flourishing. He holds degrees from the University of Oxford, University of Pennsylvania, and Harvard University in mathematics, philosophy, theology, finance and applied economics, and biostatistics. 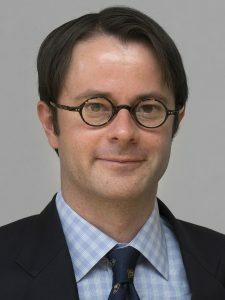 His research concerns methodology for distinguishing between association and causation in observational studies, and his empirical research spans psychiatric, perinatal, and social epidemiology; the science of happiness and flourishing; and the study of religion and health, including both religion and population health and the role of religion and spirituality in end-of-life care. He has published over two hundred papers in peer-reviewed journals, and is author of the book Explanation in Causal Inference, published by Oxford University Press.